Daniel Cleary became the first Newfoundland Native to win the Stanley Cup in 2008. His star was shining bright as the gritty forward showed his grit and determination on the ice. Shortly afterward he signed a big contract and looked to be a permanent fixture in the Detroit Red Wings line-up. The 2013-14 NHL season has seen things change for Cleary. He took a pay cut to stay in Detroit and so far this season, he has struggled to break out of his scoring slump. His play can be described as being somewhat chippy at times and no matter how hard he appears to be working on the ice, things are not coming together. Wings coach Mike Babcock has tried to mix things up to get Cleary out of hs slump and to have him return to the form he showed in the 2008 season when the Wings went on to win the cup. Babcock made Cleary a healthy scratch, he added him to play on a line with Pavel Datsyuk and Todd Bertuzzi. Nothing seems to be working. However, the writing may be on the wall for Daniel Cleary. He isn’t even performing defensively, going a minus 5 in his last 5 games and has a collective minus 6 for the season while adding just 3 goals and 3 assists offensively. Babcock has done everything that he has and described Cleary’s promotion to the Datsyuk line like winning the lottery. Still, Cleary did not perform up to par and as the game progressed, Cleary’s ice time decreased. Even though Cleary has tried to remain positive, one can see that he is struggling with his confidence. With the Wings struggling, it’s becoming quite clear that things will be changing soon in that organization. 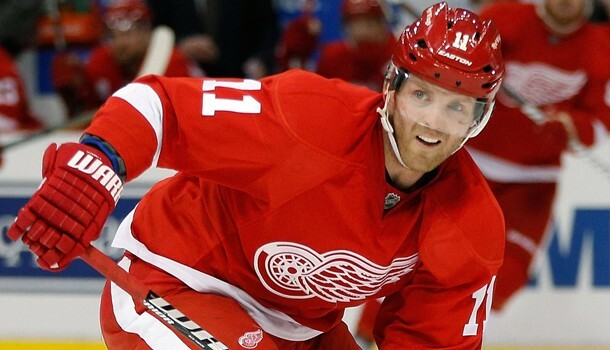 One has to wonder if Daniel Cleary and the Detroit Red Wings will soon part ways. However, one has to question if Cleary is of any value to any of the teams given his offensive struggles.